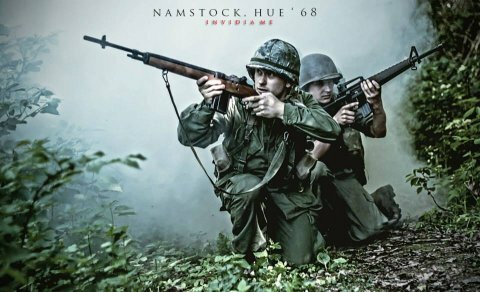 Our latest scenario called NAMSTOCK: Hue’68 gathered a group of historical Airsoft fans. Just like the real battle fought 45 years ago the confrontation was won by the US and ARVN side. The scenario was organized prior to the 6th anniversary of the foundation of NAM. We wish to thank ROSOMAK, Kernwerk, Seethersky Labs (AFT) and our friends for the cooperation. We also wish to thank Camouflage and Spec Shop for the participation in the promotion. We also recommend pictures taken by Padre (INVIDIA ME) and Maciej (MxW Foto) during the event.